The same as the others except noted. As always, we are excited to tell you about some choices you have in compatible printer toner cartridges. We have re manufactured inks in our line of environmentally friendly products. These are toner cartridges that meet all of the OEM guidelines for there respective printers. They are manufactured in an ISO compliant environment to ensure consistent manufacturing processes. Expression toner cartridges are manufactured to the same specifications as OEM (Original Equipment Manufacturer) toners. They are also made from re manufactured parts which make them an environmentally conscious way to deliver great print quality! Check your cartridge for your printer, fax machine or copier then search our website to see which compatible toner cartridge you need. Most brands like Lexmark, Samsung and HP use different technology for their machines; however these compatible toners are safe and reliable way to save money and not skimp on quality. Using a compatible toner will NOT void your warranty. 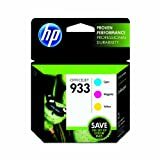 Expression is one of the leading manufacturers of superior quality compatible toners for various brands of printer, fax machines and photocopiers such as HP, Lexmark, Samsing. Expression Compatible toners offer a significant cost savings when compared to the OEM branded cartridges. Expression compatible toners are available in black as well as color. This toner cartridge delivers outstanding print quality, sharp text, accurate, consistent results, and estimates the number of remaining printable pages from the specific procedure. It features an all-in-one design and smart printing technology. We use these toner cartridges in all of our printers and fax machines and have bever had a problem with them, not one. They come packaged with a return label to send the used cartridge back for recycling, so they are easy to use and dispose of properly! They are also 25% CHEAPER than the OEM Brands. That is quite a considerable savings for any business. Try them out and you will be amazed! Stan Wallace is the E-Commerce Manager for Tapeandmedia.com, a small women owned business that specializes in discount media and supplies. How to set up and connect your computer to a network printer in the Paul College Building. 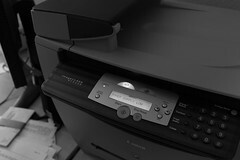 It may seem to some that a network printer is for large offices with many users however that is not the case. In the home where there are two or more computers it just doesn’t make sense anymore for each computer to have its own printer. Aside from the cost of the added hardware, a reduction of electricity usage over a period can be a good thing in terms of money saved and natural resources used. In some homes the printer is connected to a particular computer, which is then connected to a network. In this scenario the host computer must be turned on in order to use its peripheral devices including the printer. With a network printer this is no longer necessary, there is no need for a host computer to be on since the printer is connected directly to the network and is accessible to every machine on that network. This can be both a time saver as well as a money saver since there is no need for an extra host computer to be on in order to print something. Aside from a small increase in cost, there really are not a lot of disadvantages to getting one of these devices. A day may come when you return home to find that your five year old boy just used ALL the printer paper and ink printing out pictures of his favorite cartoon character, with a network device this is easily avoided by setting a password that must be entered in order to access the printer. The cost is not that much more than a direct to machine hookup. Most of the recent models today ship with networking capabilities already installed. Also, recent models of regular printers come with a network bay installed and can be easily upgraded in order to be accessible via a network, you’ll just need to spend 30 or so dollars for the network module. Hooking up to the network is usually very easy and can be done using step by step wizards provided by the computer’s operating system. 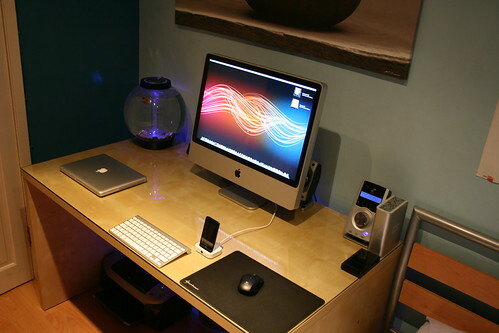 Many people keep their network devices near the router which also adds the benefit of having less wires around their computer. Compared to having a dedicated host computer on all the time just so others can use the printer and always needing to turn it on in order to print something, hooking your printer up to a network will definitely save money in the long run in the form of a slightly lower electricity bill. Thanks to WP8 advancement in BT APIs is now possible, at least for Custom engineers (www.custom.it), to print on a Bluetooth printer.